Built for small to midsized enterprises. Powerful enough for the big leagues. Create professional emails without the hassle. 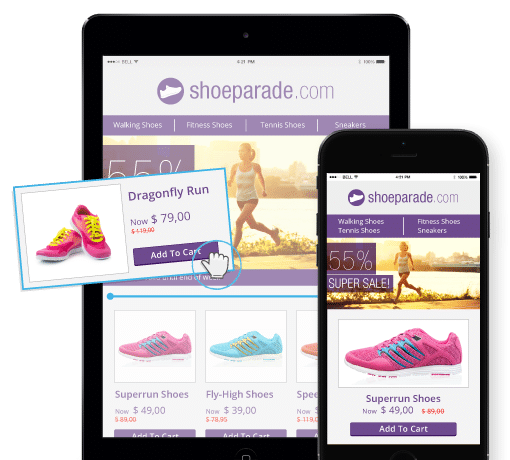 Launch email campaigns that drive revenue, strengthen customer relationships and scale your business. You don’t need to be a marketing genius to run first-class email campaigns. With Newsletter2Go, you can create and send high-impact emails in minutes. Designing beautiful emails doesn’t need to be complicated. Simply pick your favorite template and use the drag-and-drop editor to organize your content. All our templates are responsive, so you can rest assured your emails will be mobile-ready from the outset. Torn between two versions? Find your winner with A/B testing. 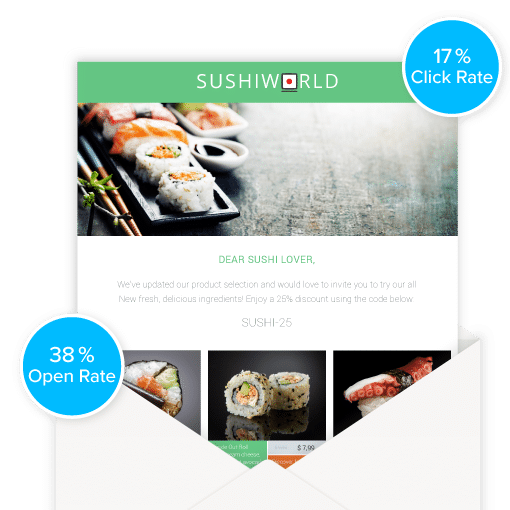 Our email marketing software will automatically identify and send out the best-performing variant. No one likes unnecessary admin. Import your contacts in just a few clicks and leave the rest to us. Sit back and enjoy automated list management. We’ve also got countless free plug-ins, so you can seamlessly integrate your favorite CMS, CRM and e-commerce platforms. Want to create more targeted campaigns? Segment your contacts based on common attributes, and hit them with content they’ll really love. As soon as you hit send, our software gets to work on real-time analytics. For every campaign you launch, Newsletter2Go generates a holistic, easy-to-read report. Keep track of all your most important KPIs – from delivery and open rate to CTR and conversions. Get to the bottom of your campaigns, and find out what really makes your audience tick. Our campaign reports keep you in the loop – arming you with the knowledge to optimize and succeed. Build strong customer relationships and drive sales. Newsletter2Go offers sales-oriented email marketing solutions for your online shop. You don’t need to be a marketing pro to enjoy this powerful & intuitive software. Take advantage of the 1-click product transfer feature and copy product details from your store directly into your email. Send out professional email campaigns and manage your client accounts through our Newsletter2Go agency solution. Offer our powerful email software to your customers as your own service solution. Join our partner program to receive rewards for every new customer. We were built for this. Literally. Newsletter2Go offers a fair-priced solution tailored exactly to your needs. Send out professional campaigns and make the most of email marketing automation. Enjoy our high-performance sending system and excellent deliverability. Our email software sends 1 million emails per hour – so you can get things done. Integrate your sending infrastructure directly into your system. Achieve seamless integration with our REST API. Send out transaction emails and check reports directly from the API. Our email marketing software offers complete solutions for seamless account management. Manage your customers’ emails from one account with multiple contact lists. 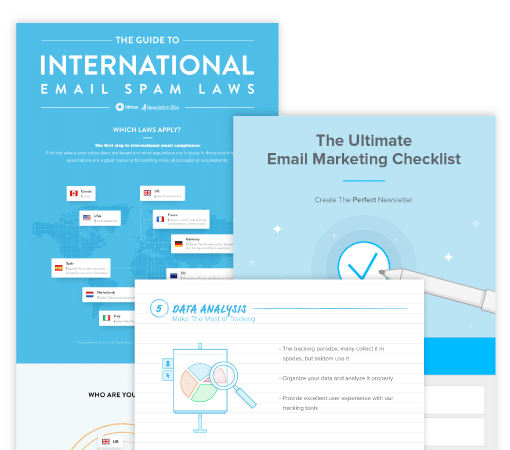 Send out free test emails to your clients. Sending professional email newsletters has never been easier. 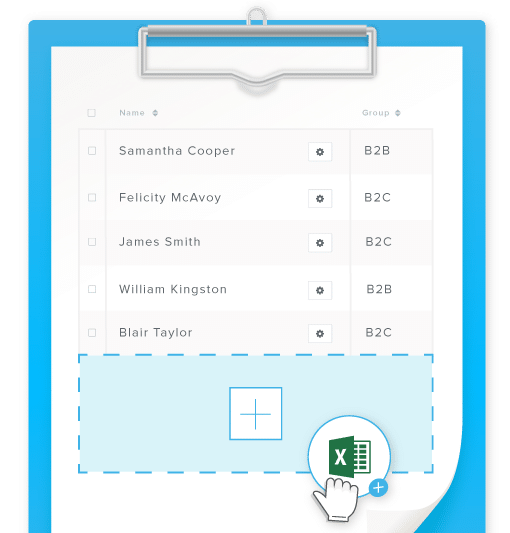 Import existing contacts all in one go, create emails in your own design and collect new subscribers with our sign-up forms. There’s more to us than software. At Newsletter2Go, we’re all about sharing knowledge and insights. Check out our blog for tons of email marketing know-how. Infographics, white papers, tips and tricks – we’ve got you covered. Want to learn more about how our software works? Check out the Newsletter2Go video crash course! Still got questions? We’d love to hear from you. Give us a call or drop us an email – we’ll get back to you within 24 hours. 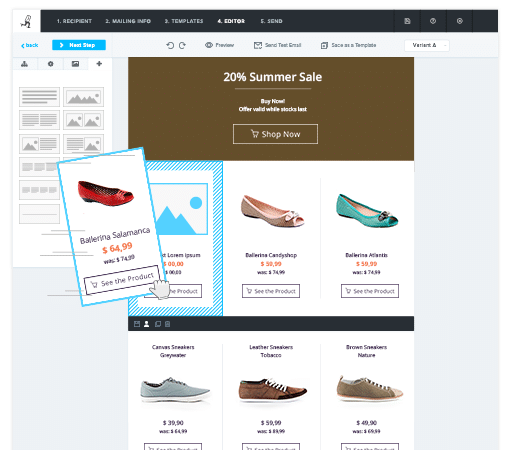 Newsletter2Go is an email marketing software that works in your browser. You can create professional email campaigns – without any technical knowledge whatsoever. We’ve made email marketing incredibly simple: all you need to do is pick a template, insert content and press send. Our clients include companies, nonprofits, e-commerce shops and agencies. Ready to get your brand out there and engage your audience? Try it out today!